Big offer provided by PhonePe app. This is superb cashback offer. We need that type of offer. When I recharge our Mobile no through PhonePe app then we use the Wallet money. I am using wallet money for my Jio recharge. 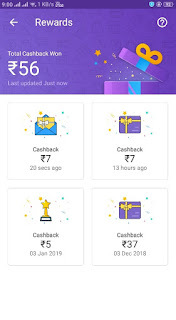 We are sending each others Rs.100 and cash from PhonePe wallet. I get both time Rs.7 cashback in my wallet. Guys try to send Rs.100 your friend or family member and get cashback. So get profit of cashback. All guys try it and comment what amount of you get cashback.